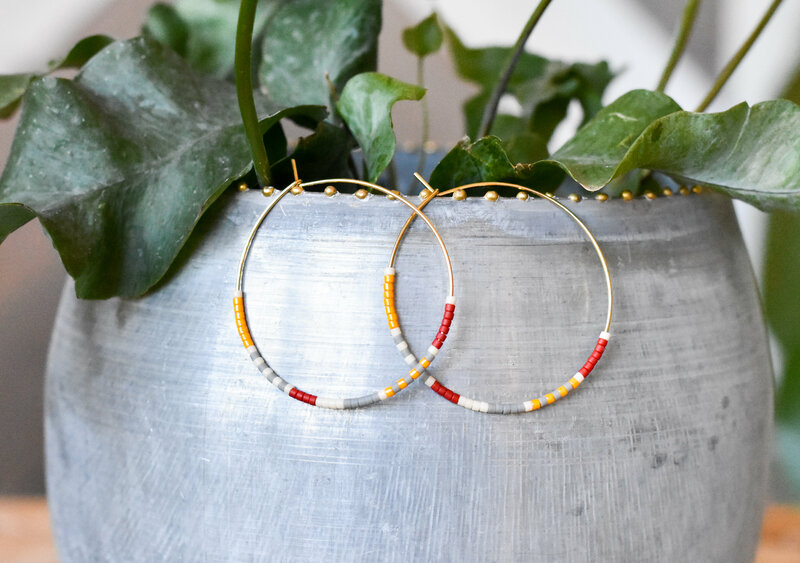 Gold fill beaded hoops. Lovely blend of mustard and red. Perfect way to to bridge summer and fall.